An arrest warrant is granted by a judge in a court of law to grant the right of law enforcement to arrest a person of interest regarding a crime. If you are like most people, you likely do your best to abide by the law. 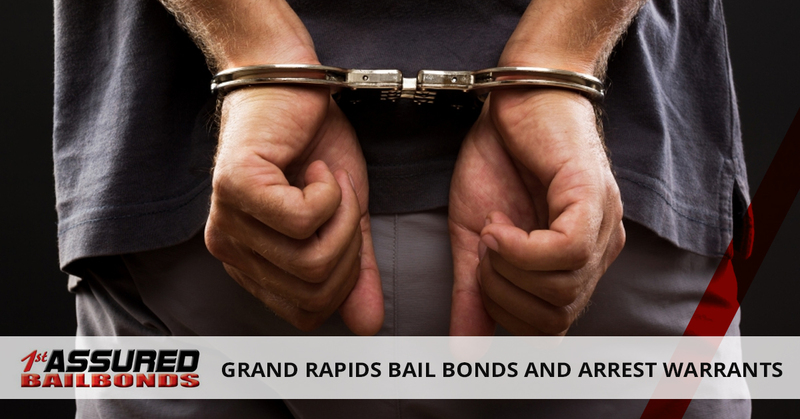 Whether that means you drive the speed limit or avoid engaging in illegal activities, you do your best to follow the path that keeps you out of jail and having to call your Grand Rapids bail bonds company. Yet, despite your well-intended efforts, it is possible to slip up from time to time. And unfortunately, just one simple mistake can put you on the wrong side of the law and you could find yourself facing charges as a result. Depending on the charges against you, you might wind up having an arrest warrant issued against you. As you can probably guess, having an arrest warrant is a very serious legal matter. It is nothing you should take lightly. An arrest warrant means that law enforcement can immediately arrest you once you have been located. A warrant for your arrest can be issued for many different reasons. Bench warrants are typically issued for reasons like failure to pay a traffic ticket due to a moving violation or failure to appear in court. A judge could also sign a warrant for your arrest if you happen to be a suspect in a crime that is being investigated. What then happens is your name goes into a computer system that serves the law enforcement community. So all law enforcement agents in the state will know to arrest you should they find you. That is not to say that law enforcement officials are actively seeking your whereabouts. If you have a warrant for a minor issue, say, not paying a traffic ticket, they aren’t likely to show up at your home or place of work. However, if the crime is more serious, they can and will actively try to find you. If you don’t know that you have a warrant out for your arrest, imagine your surprise when they place you in handcuffs after being stopped for a minor traffic offense. There are any number of ways to discover if you have a warrant out for your arrest, but the easiest and fastest way is to call the courthouse or seek the help of an attorney. If you discover that you have a warrant out for your arrest, it is a good idea to contact an attorney. You will want to deal with your warrant quickly and in the best possible manner, but you may not feel comfortable navigating the legal system. By hiring a lawyer, you have an advocate who is on your side and who will help you resolve the situation in a manner that is in your best interests.